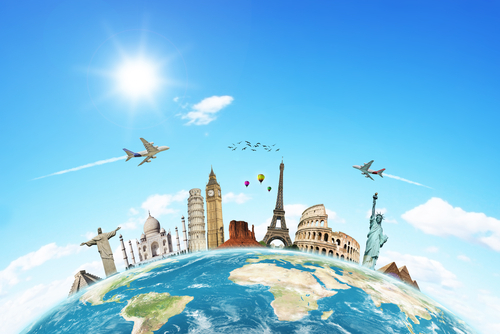 There are a number of things that are imperative for you to take care of before going on an international trip. Jumia Travel, the leading online travel agency, shares five of them. This is in case your passport and documents gets misplaced, lost or stolen, to help you identify yourself and ensure you can still get back into the country, or prove your citizenship. A visit to your bank some weeks before your trip to inform them of your travel plans should take care of this. They can then advise you on what you need to do to ensure your debit card works in the country you’re visiting. Again, you can visit your bank for some help with this. Your bank can help you convert some of your cash to the local currency of the country you are visiting. This is because it’s not every place that accepts credit or debit cards, especially important places like train and bus stations, so to avoid being stranded, it might be best to have some local currency on you. There are different electrical outlets in different parts of the world, so it’s important for you to get an adapter so you can plug your devices into foreign sockets. Trying to get an adapter when you arrive can be quite stressful as you are not likely to immediately know where to go to get one, especially if it’s your first time visiting. You can also buy portable phone chargers and/or spare batteries that you can easily charge and swap into phones, cameras, and other electronics so that you can stay fully charged while on the go. You can also consider buying a power bank to help with this. To avoid having nothing to wear or having to buy an extra set of clothes if your luggage is lost or there is some delay in getting them to you, it is best to pack an extra set of clothes in your bag just so you have a change of clothing.